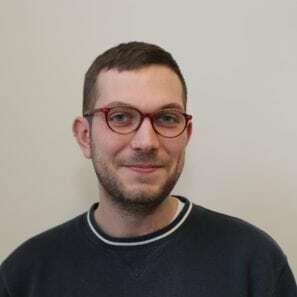 Andy is an experienced member of the casework team and comes with a background in social care, through which he gained experience of both social welfare and housing matters. He worked previously in floating support, with a caseload of street homeless and vulnerably housed adults, helping them to communicate with the local authority for housing support. He has a particular commitment to raising the voices of our client base and empowering them to be heard. Anne manages Z2K’s casework and maintains an overview of how this feeds into our policy and campaigning work for long-term change. Anne has worked with Zacchaeus 2000 Trust since 2015. Prior to this role Anne worked for 18 years as a housing lawyer under a legal aid contract in various law centres in London. She completed an MA in Housing Law and Policy and has maintained a keen interest in housing law in particular possession proceedings, intentionality decisions and out of borough placements suitability reviews. Anne is keen to make sure that all negative housing decision which are intrinsically linked to welfare reform are challenged. Anne is a member of Housing Practitioners Lawyers Association and is an Advice Panel Member of the Administrative Justice Council. Catherine is responsible for coordinating all Z2K's tribunals work, including developing relationships with pro bono legal teams and recruiting legal volunteers to represent clients at their hearings. Having been a volunteer herself previously, she is committed to ensuring that volunteering at Z2K is a positive experience. Catherine is a qualified social worker and as such is able to support social workers on placement. Daniel is the complaints caseworker at Z2K’s Right First Time project and he sits within the policy team. He works tenaciously on behalf of clients to complain about maladministration, both to achieve compensation for the individual but also to put pressure on decision makers to change problematic practices. Prior to working at Z2K, Daniel worked as a social welfare caseworker in Barnet and for Greenwich Council. Eimear works with Jamie on our Next Door Project, helping single homeless people find and prepare for suitable accommodation in the private rented sector. She joined the Casework team in July 2017, and her caseload includes welfare benefits, housing matters and tribunal representation. Her background in facilitating community-based arts projects led to her interest in working in welfare support and advice. Prior to Z2K, Eimear worked in tenancy related support work within a Complex Needs Floating Support service for three years. Her casework experience combined with her background in support work gives her an insight into the diversity of needs within our client group. Ella works with Marc on Z2K’s policy and public campaigns; this includes managing our website, liaising with policy-makers and developing relationships with partner organisations to ensure that our policy messages are widely heard. She previously campaigned for organisations such as Doctors of the World UK and UN Women working on healthcare, immigration rights and gender equality. Prior to this, Ella worked directly with clients for three years while at the Helen Bamber Foundation, a human rights organisation advocating for survivors of cruelty including torture and trafficking. Lucy is responsible for coordinating all Z2K's tribunals work, including developing relationships with pro bono legal teams and recruiting legal volunteers to represent clients at their hearings. Lucy started at Z2K in 2016 as a volunteer, beginning with our form-filling service before moving on to casework. She studied law at the University of Westminster and previously worked with charities such as the Islington Bereavement Service and Ealing Advice Service. Marc leads on all our campaigning, parliamentary and policy work. His key areas of focus in recent years have been council tax charges and the impact of housing policies on low-income households. He was formerly the Housing & Neighbourhoods Policy Advisor at Save the Children and before that, Public Affairs Manager at Shelter. He led Shelter’s successful campaigns for mandatory Tenancy Deposit Protection by private landlords and against the use of Bed & Breakfast accommodation for homeless families. Natasha supports the casework team with disability benefit issues and housing problems. She first started at Z2K as a volunteer and has previously worked at Citizens Advice. Natasha studied Politics at Surrey University, and is interested in understanding how government-led policy changes affect people in real life. 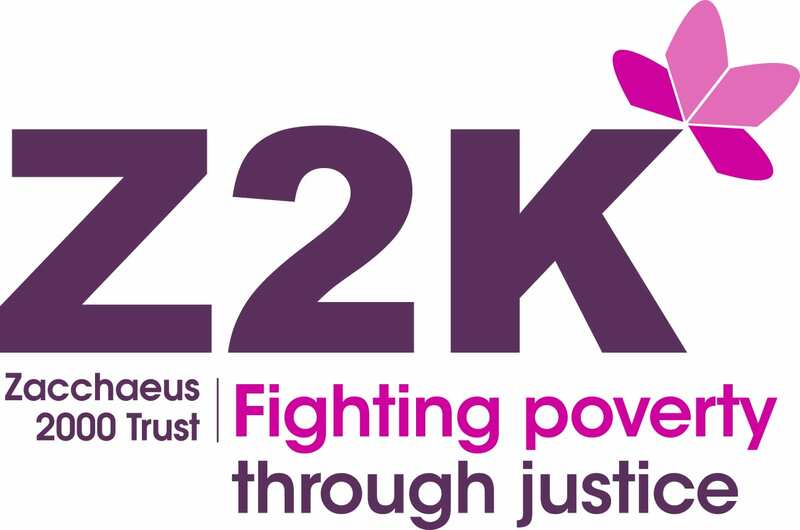 She is deeply committed to supporting the active policy-influencing network Z2K are creating and to helping those negatively affected by welfare reforms. Raji has headed up the organisation since March 2017. She was formerly Operations Director at Inquest and prior to this she was the Director of North Kensington Law Centre. Raji is passionate about empowering people and improving community engagement, which formed a large part of her work previously as Director of Democracy at the Carnegie UK Trust and at the Hansard Society before that. Samantha manages Z2K’s fundraising and also works to improve the charity’s communications. She previously fundraised for organisations such as Help Counselling, Borderline and Crisis and has also obtained the Certificate in Fundraising. Samantha is extremely passionate about growing the charity so that everyone in London has the income, housing and support they need to live a stable, dignified life. Stacey is a dedicated member of the casework team, specialising in disability benefit tribunals. She was previously our Tribunal Co-ordinator, responsible for organising, developing and expanding all our Tribunals work over the last year. She comes to Z2K with a long-standing commitment to working with people who are disadvantaged by social policy. Her range of voluntary experience and internships includes Body and Soul, Citizens Advice and Mind. Having gained experience of accompanying clients to disability benefit assessments, Stacey has an insight into how stressful this process can be, and this drives her commitment to helping clients win tribunal appeals. Tanya oversees all the organisation’s day to day operational work; her remit covers a broad range of areas including governance, finance, monitoring, supplier contracts, HR matters and office policies. Alongside her operational skills, she has a genuine commitment to all our project work, and an empathy with our clients that makes her an invaluable part of team. Vier leads on Z2K’s Stepping Stones Wraparound Project, providing additional support for clients in partnership with the South West London Law Centre. She also co-ordinates the recruitment and training of new volunteers. Before joining Z2K Vier worked within women’s services as a Domestic Violence Caseworker, specialising in risk management, tenancy related support and advocacy work. Prior to this she worked within youth offending and studied Criminology and Criminal Justice at university. Vier is very passionate about empowering and supporting others to take back control of their lives and build confidence to achieve their goals. Her casework experience combined with her background in positive engagement and change encompasses the main aims of the wraparound service and Z2K's commitment to support all clients in a holistic way. Zoë first joined the team as a volunteer in 2014 before becoming a paid member of staff in March 2015. Zoe has a particular interest in tribunal representation and achieving successful outcomes on behalf of our clients. She also enjoys working with volunteers.